With the Astra. Video here. “ken stone power supply board – caps/regulator/heatsinks/diodes from gutted wersi organ. ray wilson’s 1v/oct single bus pcb. the keyboard is from a gutted lowrey wandering genie keyboard. (w/ matched transistor pair/tempco/polystrene caps). 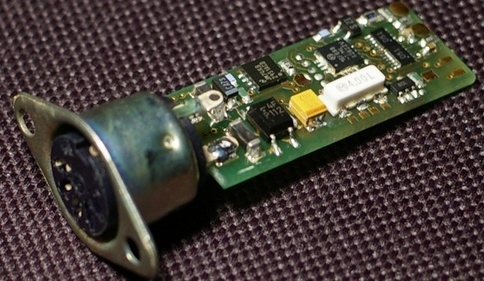 white noise source (based on henry’s PNP noise source) through a Lm386 amp. 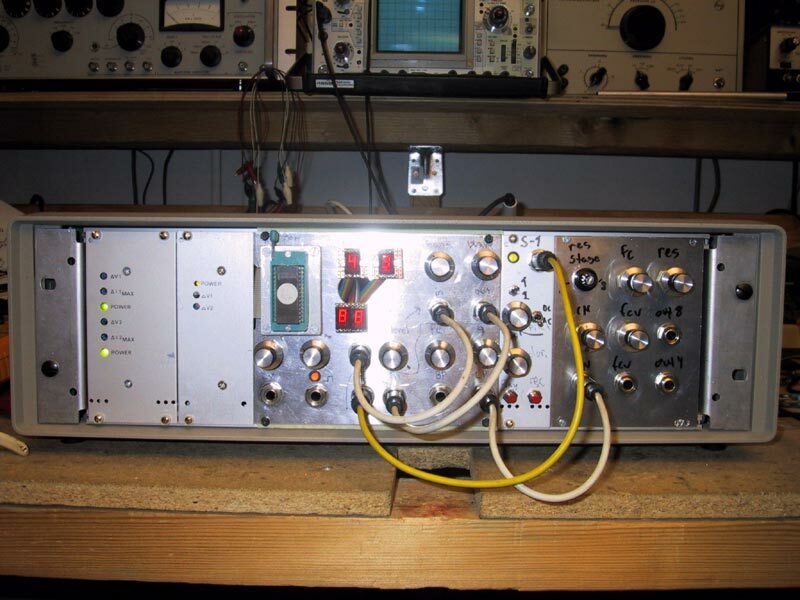 passive ring modulator using BAT56 schottky diodes – through their own lm386 amp. VCF is a CEM 3328 from a dead mirage keyboard following jeff pointus/scott stites schematic – thomas henry 3080 VCA – a 555 based ADSR, two asm-1 lfos. i didn’t buy anything for this unit. someone can circuit bend it when i’m dead…. 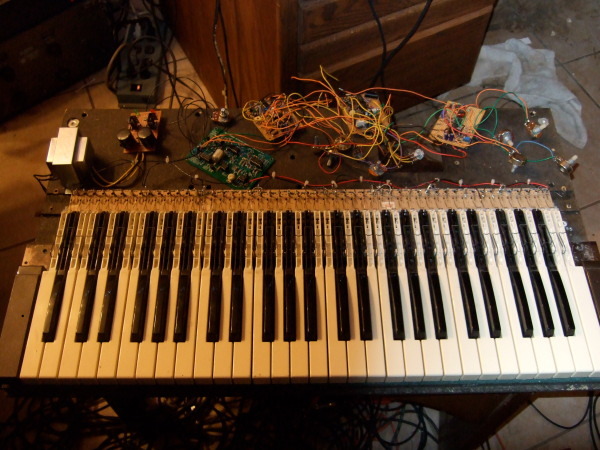 Yet another Flickr gallery of pics of a homebrew synthesizer. No idea what it was or if he even finished it. The PC board looks like a kit but I don’t recognize it. A Swedish DJ who is building a modular synth–apparently. And here’s a really good photoset from the AHBA synth meeting last September. I don’t think Matrix ran this one. Finally. Manmachine is a great comic. 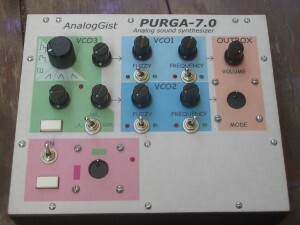 And features a “homebrew analog synthesizer”. Which the robot-oid protagonist apparently blows up after connecting power. (Scroll to the right using your mouse.) The creator ought to be encouraged to make more. 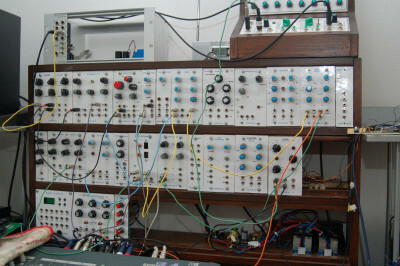 Rare inside views of two legendary modular synths. 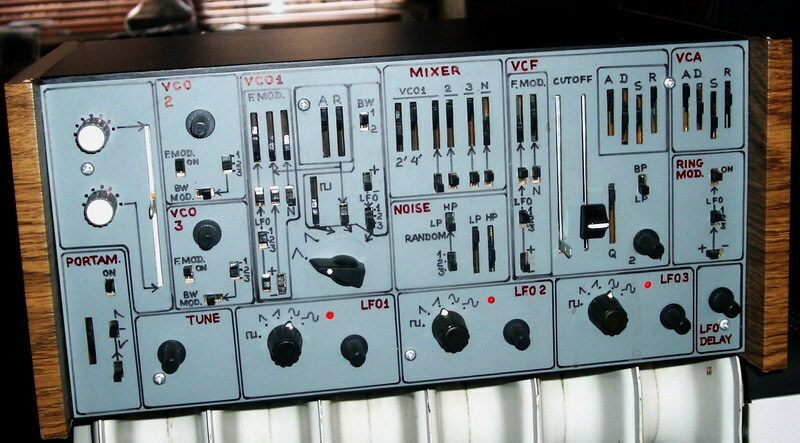 First, in 2007 Matrix covered Greg Danner’s restoration of the notorious Sal-Mar Construction, an obscenely complex synthesizer from 1969 controlled by digital logic sequencers. What you didn’t know: Greg has a Flickr account full of photos of the restored Sal-Mar. Also in 1969, Joel Chadabe had Moog build a modular synth along roughly similar lines–no keyboard, lots of sequencers. The innards of the CEMS are documented here. Worms do it on a cracklebox! One can find the oddest things on photo websites. 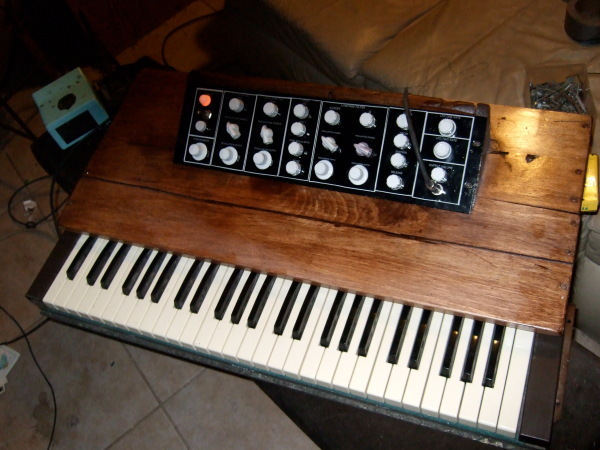 For instance, the following were found on Photobucket–apparently homebrew synths of some kind. I Googled the names on them–no info anywhere. Anyone? Here’s another modular that Matrix didn’t mention. The Dutch guy who goes by “etaoin” on various synth forums has a website. He’s currently working on a modular synth made of DIY circuits. First, the Infinite Response folding keyboard. I’ve seen folding keyboards before, but never one this nicely made. Even has a magnesium chassis. Second, the Fender electric version of the Takaratomy Air Guitar. Now available from acgears.com. They also sell the acoustic version that Matrix ran a video of long ago, plus the FM3 Buddha Machine. Also the Ta Horng iSmart roll-up soft keyboard. At last! A really small MIDI-CV interface! Roman Sowa is offering the Midimplant for sale. Only 80 euros. 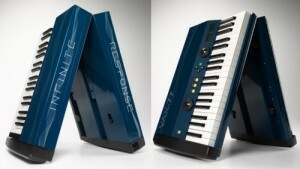 It looks even smaller than the old MIDIJack interface.